Objectives: Breast cancer is the uncontrolled growth of breast cells. It is the second leading cause of cancer deaths in women worldwide. Thus, predicting the survivability of breast cancer is of great importance. The goal of this paper is to study the temporal effects of some features that describe breast cancer on the prediction of survivability. Methods: In the present study, several artificial intelligence (AI)-based approaches are implemented for predicting the survivability of breast cancer based on the rate of change of variables in the patient’s record. These values are used as features that characterize each patient and are employed in the learning process instead of the original variables. 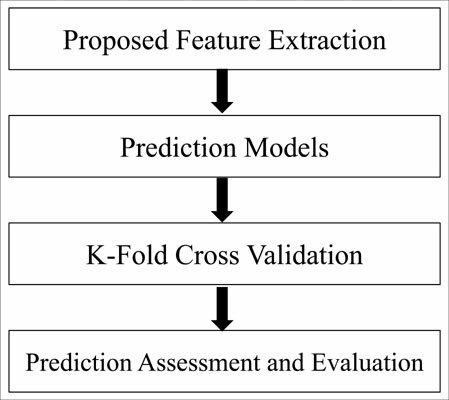 Four prediction models are built and compared using a proposed set of features. The models include artificial neural networks (ANN), K-nearest neighbors (KNN), support vector machines (SVM), and logistic regression (LR). The approach is applied to a large publicly available dataset of breast cancers. For each model, performance measures when a model is built using the proposed features are compared against those obtained when the original values are used instead. Results: For all four models, improved prediction accuracy was obtained when the rate of change of variables rather than the raw values were used. ANN yielded the best prediction accuracy, sensitivity, and specificity. The LR model yielded the worst performance measures. Conclusion: The results of this study provide a foundation for future research on medical decision making, where the temporal effect of patients’ data should be taken into consideration when an AIbased system is used. Breast cancer, survivability prediction, classification, SEER, cancer registry, death prediction, data mining.